You probably already know by now that I have had the great privilege of being nominated for a very prestigious award ....The Amara Interior Blogging Award.As we are getting close to the end (voting closes Friday) I just wanted to say a big thank you to all of you who have already voted for me here and remind everyone of the prize Amara and Exsus are giving away.An amazing stay for 2 at the "ultimate lifestyle hotel on Italy’s romantic Amalfi Coast with transfers from the nearest airport included. Casa Angelina peers over the glittering Gulf of Salerno and looks out towards the picturesque town of Positano and the Isle of Capri. Its unbeatable location and stylish, contemporary design make Casa Angelina an unrivalled boutique hotel on Italy’s most glamorous coastline." Here is what Amara says about Casa Angelina..."Casa Angelina is adorned in white and fitted with designer furnishings, from Philippe Starck bathtubs to Bang & Olufsen entertainment systems, with unusual works of art dotted around the hotel. Complete with panoramic views of the azure sea, the hotel includes sleek, minimalistic rooms, an outdoor pool and gourmet restaurant, Un Piano nel Cielo, where guests can feast on exquisite Mediterranean cuisine on the terrace or in the romantic dining room. 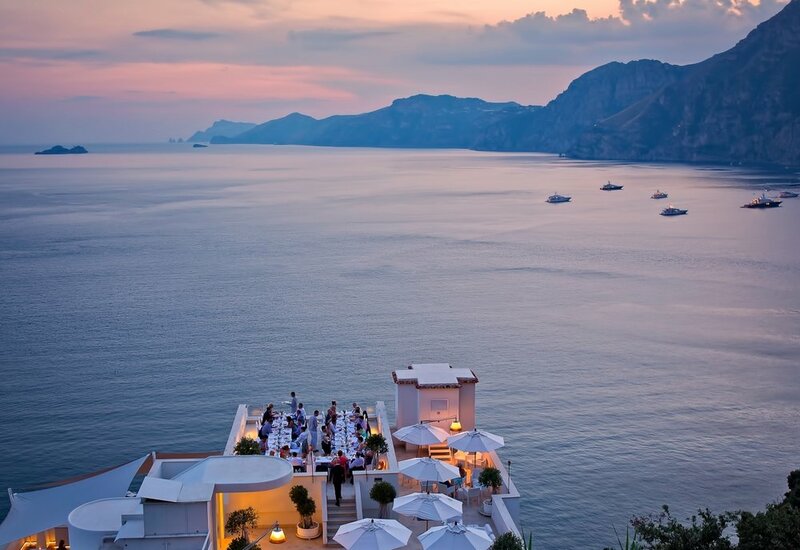 Try a Pilates or yoga class, hot-foot it to the beach below the Hotel, explore the gorgeous coastal towns of Positano, Amalfi and Ravello and the Isle of Capri, just 30 minutes by boat, or simply enjoy the sunset over a Limoncello Mojito." Fancy it? all you have to do is vote here (it will take you 30 seconds as it is only a name and email address,no lengthy forms to fill in!) and you could be enjoying all this AND get me one step closer to the shortlist!